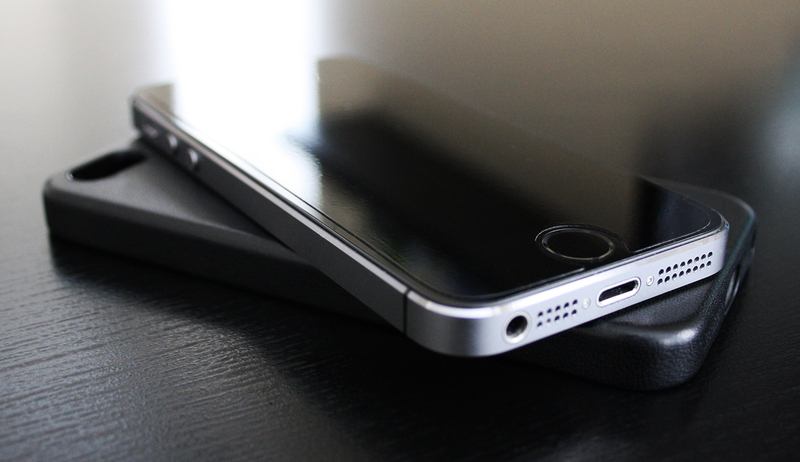 The iPhone 5s – Not just an S upgrade. Mobile phones have become a staple in our daily lives. Billions of people now own one, and for most it never leaves their side. With capabilities becoming as extensive as they are today, more people than ever have given up a desktop computer in replacement to a mobile device. The Mobile Phone article I wrote shows just how fast phones have evolved in the last 5 years and proves how radically different they could be 5 years from now. With new handsets coming out nearly every day, how are you supposed to know which one is best for you? My mobile device selection process has been extremely consistent for about 5 years. I purchased my first iPhone in June of 2009 and never looked back. At that time the iPhone 3GS had been released and wasn’t breaking records just yet. 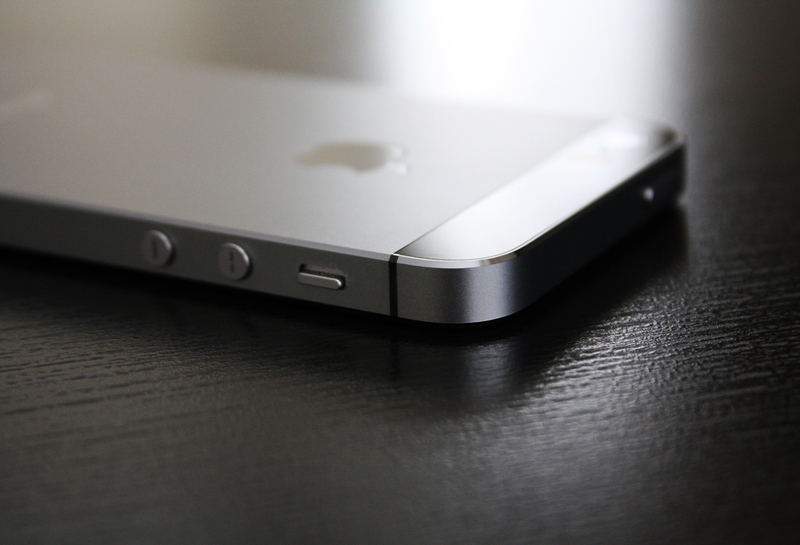 When the iPhone 4 launched, an impact had started to develop and people were noticing the difference that iPhone was making. The iPhone 4S did exceptionally well, but it’s popularity has risen much more now 2 years after with carriers providing $0 subsidized contracts. I would say the iPhone 5 had the biggest launch – at least in my region – with stock being available and selling very well. The device caused a fairly large impact across the nation and people were very receptive to the innovation it brought. When the iPhone 5s was released – it came with high praise and incredible features – but very low supply. I even changed my carrier of 4 years to get one on launch day. It felt like a fairly substantial upgrade not only because of hardware changes, but also due to the iOS 7 update. Now under 6 months later, the iPhone 5s has become an apex of mobile computing and communication. Crafted from 6 generations of innovation. 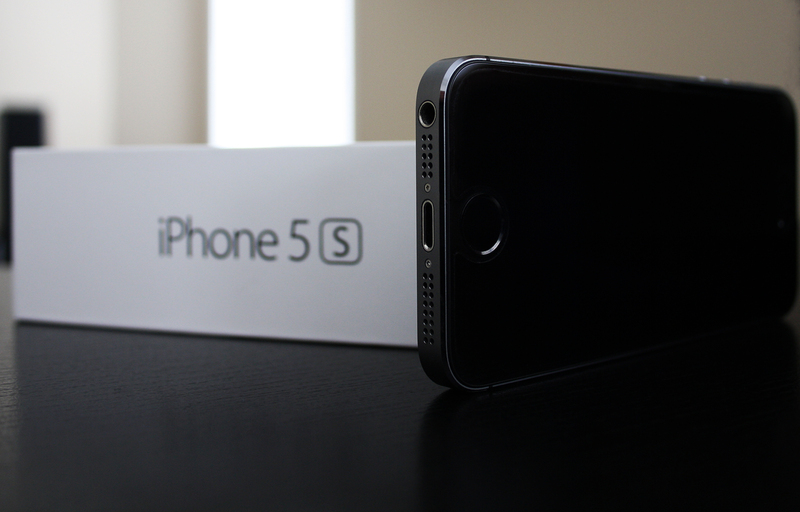 The iPhone 5s comes in the same thin and rectangular box as all of its predecessors. Packed tightly inside with a Lightning cable, Apple Earpods, and stickers – it’s just enough to get you started. When you first hold the device it truly feels like a premium product with the materials inside, followed by the way it’s assembled. Weighing in at 112g, it’s an incredible feeling to hold if you’ve never owned an iPhone 5 and are coming from a generation before it. 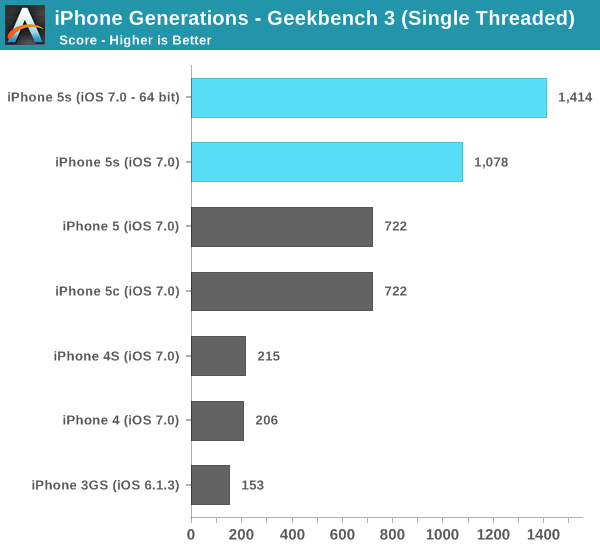 From the 140g chassis on the iPhone 4S, it’s a substantial difference that has to be held to be understood. The iPhone 5s takes what the iPhone 5 innovated on and added 3 main upgrades along with some extras. The first major upgrade is the A7 64-bit processor. Apple upgraded the architecture to 64-bit for the iPhone 5s to not as much benefit for the present, but to help power devices in the future. This processor provides greater efficiency in tasks being calculated by the user. In the rapidly evolving world we’re in today, consumers are developing higher expectations of their devices quicker than ever. The 64-bit processor will allow more calculations to be made at once, which will allow more in-depth apps and functions to be handled with little effort. Integrated with the A7 chip is a brand new M7 co-processor. This is a new kind of processor that monitors all the activity gathered from the accelerometers, gyroscopes, and digital compass. By alleviating this stress from the main processor, apps are able to harness incredible results with little to no battery usage. This processor saves recorded movement for 7 days, where apps can pull the information into their database for performing the tasks they require without needing to consistently run in the background – draining valuable battery life. Apps such as Nike+Move and Argus have launched updates taking full advantage of the M7 co-processor, and have seen impressive results. Although there was a significant increase in performance from the previous generation, the main benefit will be unveiled in a couple short years from now as mobile devices become better integrated with desktop computing. A 64-bit processor also is required for supporting anything higher than 4GB of RAM. As the iPhone 5s includes 1GB of RAM, devices will begin to need more as developers unlock greater potential and continue to push the limits on phones in the near future. This tag-line has been used by Apple for a couple of years now, as the quality of mobile phone camera’s have evolved into what they are today. 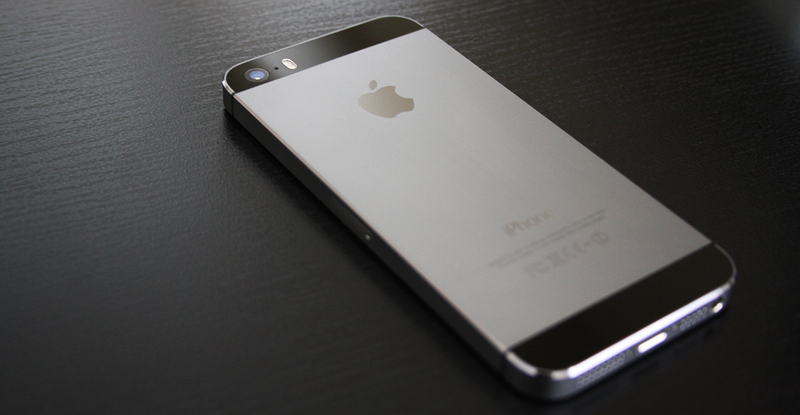 The iPhone 5s is no different, offering an 8MP backside illuminated sensor that records full 1080p video. A great addition is the 120fps film mode for video that quadruples the frame rate to allow slow motion recording in 720p. One of the highlighted features is a dual warm/cool LED flash system that observes the light available and what subject is in focus, and will adjust the flash accordingly. The iPhone 5s camera is more than adequate for my every day needs. For my work on this website I have access to a Canon DSLR, but for everything else I’ve been perfectly satisfied with the quality and speed the iPhone 5s delivers. Other software enhancements available for the 5s include: HDR photos, burst mode (with a very detailed editor), filters, and basic but effective editing. Photo Transfer – for quick photo and video transfers to any computer or iOS connected on the same local network. Camera+ – Long running stock Camera replacement with features such as grid lines, lightroom editing, stabilizer, live cropping, and horizon level guides. Snapseed – provides more detailed filters, trimming options, as well as blurring and framing. Nostalgio – Stitch together multiple photos in a collage featuring different layouts, border styles, and sharing options. Use a finger as your personal ID assistant. The third – and arguably most important – feature of Apple’s flagship device is the Bio-Metric fingerprint scanner called ‘Touch ID’ that is embedded into the Home button. What used to be a visible cue of iPhone, is now a sapphire glass covered reader for unlocking your device and purchasing content from the iTunes Store. The amount of technology involved with this feature is astounding. The button has an outer ring that detects a user’s touch, and activates the sensor. During the set up process, you’re able to configure 1 of 5 different slots. You place your finger on the button then lift multiple times as it gets a rich, deep scan of your print. By the end of the process it has gathered enough information to be able to read the scan in any direction – from the side or even upside down. This is beneficial as many users will remember cumbersome fingerprint scanners of the past on notebook computers or other mobile devices that require you to slide your finger downwards in the exact method as was done during set up. This process has led to stories of people getting locked out of their devices who rely on the feature. Apple has taken precautions for this feature by forcing users to have a 4-digit passcode in effect alongside the scans. Migrating your life to the cloud. The iPhone 5s comes with iOS 7.0 installed. Apple calls iOS 7 “The mobile OS from a whole new perspective.” This is the first time that iOS has had a design change since it’s introduction in 2007. There have been small improvements in icon detail and colour schemes but the iOS 7 update was a complete overhaul. It was received mostly to positive response, but some customers were having visual troubles with legibility in text and colour patterns, as well as motion effects. These issues have been since resolved with the latest version being 7.1 now released at the time of this review. A major part of iOS 7 is iCloud. Apple hasn’t updated the storage capacities in their previous 2 generations of iPhone and there doesn’t seem to be any indication of it happening anytime soon. With all of the Cloud services available today and the ability to have a constant internet connection, there isn’t much reason to have a large flash drive inside the device. By having all of your content migrated and syncing with iCloud you are able to enjoy the benefits of having all of your files, media, and information available at all times. If anything should happen to your device including accidental damage, theft, or hardware failure you have the ability to restore the information without any hassle. Refining a movement in technology. 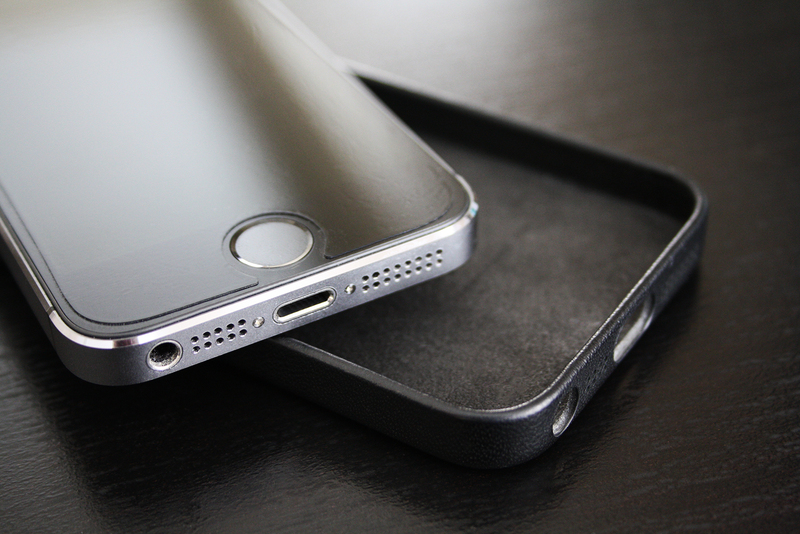 The iPhone 5 brought a new, slim design and larger 4″ screen featuring the iconic Retina Display. The iPhone 5s has built off this foundation by including the same Wifi N, Bluetooth 4.0LE, and LTE antennas, as well as the 4″ 640×1136 326ppi resolution display. With storage capacities available in 16GB, 32GB, and 64GB there is an option for everyone. A new gold colour was launched alongside the standard White and Space Grey models, allowing further personalization in your decision. The iPhone has been my primary device for the last 5 generations due to its integration in the market, seamless and consistent operation, and innovation in the industry. My iPhone 5s is always within arms reach. It assists in everything I do including content consumption, banking, communications, home automation, and so much more. Apple has done an incredible job on their latest flagship device, and I look forward to seeing what the future brings in mobile computing.